Hall of Famer Nicklas Lidstrom , a seven-time Norris Trophy winner, is one of the people who think Dahlin does compare to him, and some other current star defensemen who happen to be Swedes: Erik Karlsson and Victor Hedman. 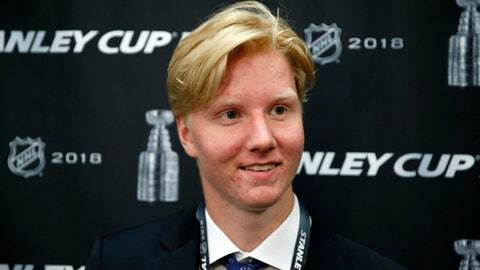 Dahlin is set to become the second Swede taken No. 1 overall, joining Hall of Famer Mats Sundin, who was drafted by Quebec in 1989.